And then one morning, a mysterious – yet oddly familiar – woman, dressed in rags, shows up in his throne room, sees him … and passes out cold. The simple, unexpected event, and everything that flows from it, turns Andrew’s life upside down. Who is this woman? What does she want? What will happen as a result of her arrival in the palace? And could this poor, homeless woman really be true love for a lonely king? Well, to find out, you’ll have to read it. 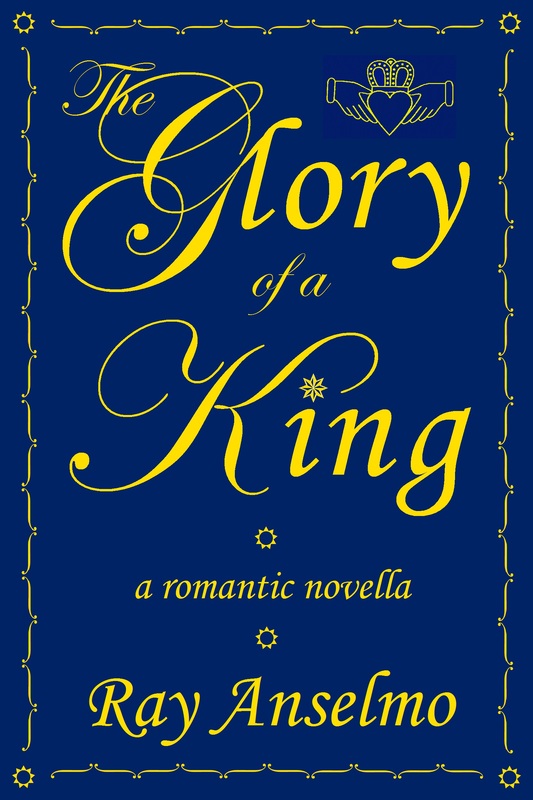 “The Glory of a King” is available for 99 cents (WHAT A DEAL!) at for the Amazon Kindle and Barnes & Noble Nook e-readers. Amazon also has a free downloadable app that will allow you to read it on your PC or smartphone, so if you don’t have a Kindle or Nook, you’re covered. “The Glory of a King” was actually the first work of it’s size I ever wrote – I created the first version of it in 2000 as a present for my wife Nina (to whom this version is dedicated). It’s one of the longest stories I’ve ever written, at over 20,000 words. And it ended up serving as a dry-run test for some of the concepts in my first novel, “The Slave Auction,” which I hope to have out this autumn – they both take place in the same “story universe,” with the same post-apocalyptic background. Anyway, check it out, buy it, read it, review it and tell your friends about it. I think you’ll enjoy it a lot. I know my wife did. This entry was posted on Saturday, May 31st, 2014 at 3:40 pm and is filed under Marriage, Scribblings. You can follow any responses to this entry through the RSS 2.0 feed. You can leave a response, or trackback from your own site.